Hello friends! Long time no blog post. It's seriously been a while. To catch you guys up, I recently came back from Raleigh, North Carolina for Memorial Weekend and it was so depressing coming back to NYC and having to go back to working life. My friends and I went there to visit our friends who have moved there for work. Lucky for us, they had their own apartments with a community pool so it was an amazing time. It was so nice and relaxing not having to worry about anything, floating around in the pool. I took a bit of photos while I was there and will have those up soon. Since starting my new job, I wanted to reward myself with a luxury purchase and this baby is the one! 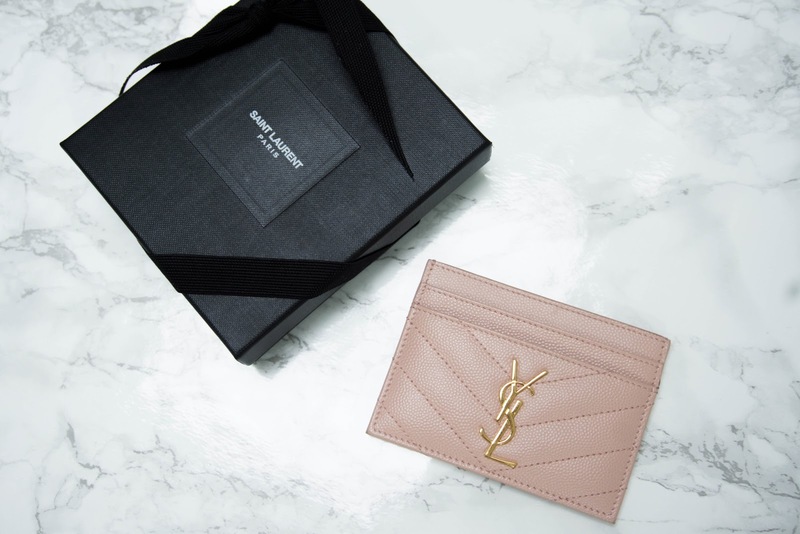 This is the beautiful YSL monogram card holder! I actually purchased this a month or so ago but never got around to posting it up here. I used to be in love with larger wallets, but have grown to prefer cardholders because they're minimal and not bulky. I only really need to carry a few things with me. The only downside is there is nowhere to put my spare change but I can live with that. 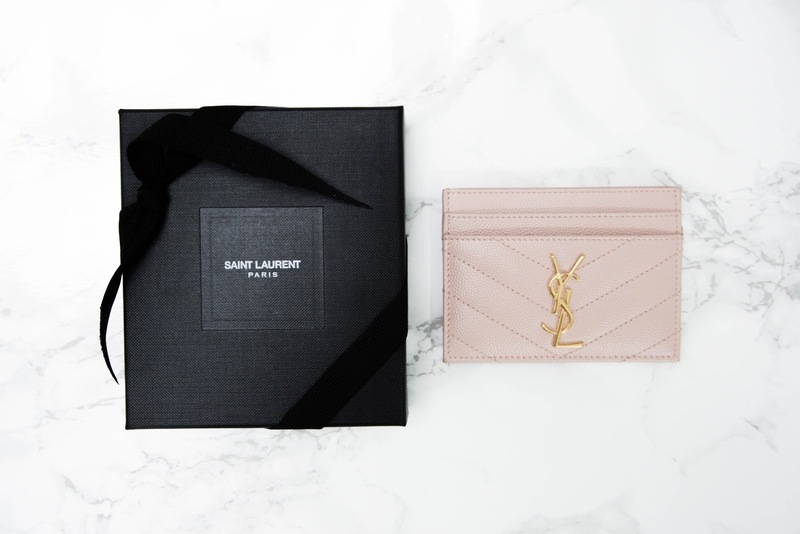 At first I was debating between the Chanel cardholder in caviar leather. You know, the one everyone and their mom's have, but spontaneously ended up with this pale pink baby. 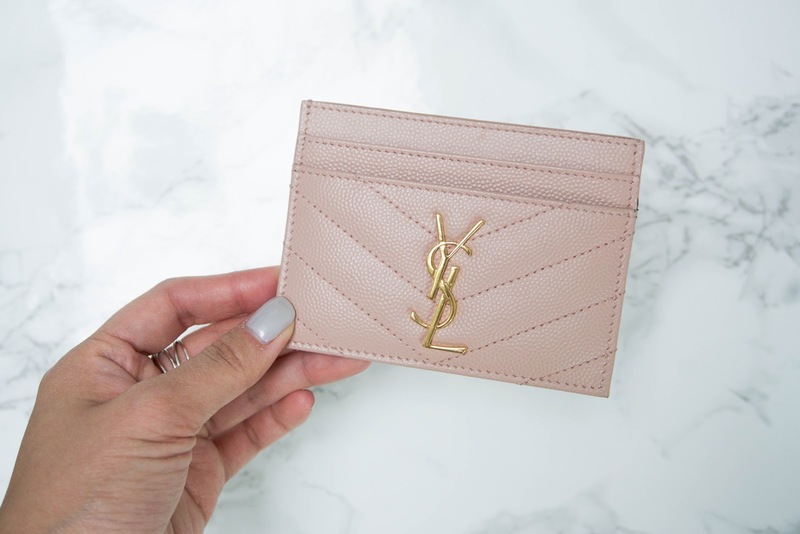 I couldn't justify spending $400 on a tiny card holder when I would rather spend that on a bigger wallet. Plus, I fell in love with this lovely pink shade. The pink is just too pretty to pass. Yes, it does get dirty easily, but I don't really care too much about that. It adds character and I'm sure I'll end up buying another cardholder in the future. 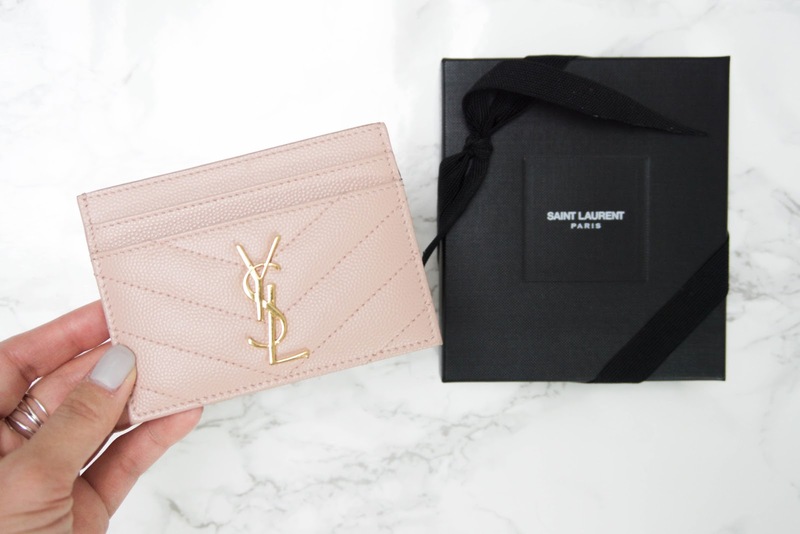 I'm so happy with my first YSL purchase!